Congratulations to Yaleidy Torres who has been named as Volunteer of the Quarter (October to December 2018) for Service to the Armed Forces Pacific Division. As the Madigan Army Medical Center (MAMC) Lead on Joint Base Lewis-McChord, Yaleidy has mentored and guided countless volunteers. Yaleidy recruits and assigns volunteers to meet the needs of the Military Treatment Facility. She has devoted 600 hours to training, placement, record keeping and recognition of volunteers. As she prepares each volunteer, her care and devotion provide real benefits to service members and their families. When the Red Cross Office at Joint Base Lewis-McChord underwent the transitioning of both its Program Specialists, Yaleidy maintained full control of the volunteer program and increased her volunteer hours until new personnel were in place. Yaleidy maintained continuity for the organization and a steady flow of new volunteers. Throughout this time, Yaleidy personally pushed the American Red Cross Comfort/Goody Cart through the halls of MAMC get the pilot program up and running. “Remaining humble and committed to the mission, Yaleidy is the foundation for the entire American Red Cross at MAMC,” explains Service to the Armed Forces Lead Volunteer at Madigan, Carl Johnson. Yaleidy even served as a temporary paid employee, taking full management responsibilities of MAMC while the NW Region was without a Director and its staff was at 50% strength. 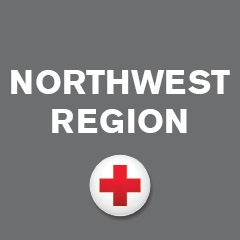 Following this temporary position, she returned to Lead Volunteer status and her commitment to the mission of the American Red Cross Service to the Armed Forces.